Like so many parents, I want what is best for my child. And, of course, “what is best” means so many different things — it means growing up in a healthy community and surroundings, it means having access to top-notch healthcare and education, it means living in a place that values my family and our contributions to this country. The list could go on and on, but here’s my point: this is an enormous and pressing responsibility that drives my day-to-day actions, setting the course for the decisions I make. 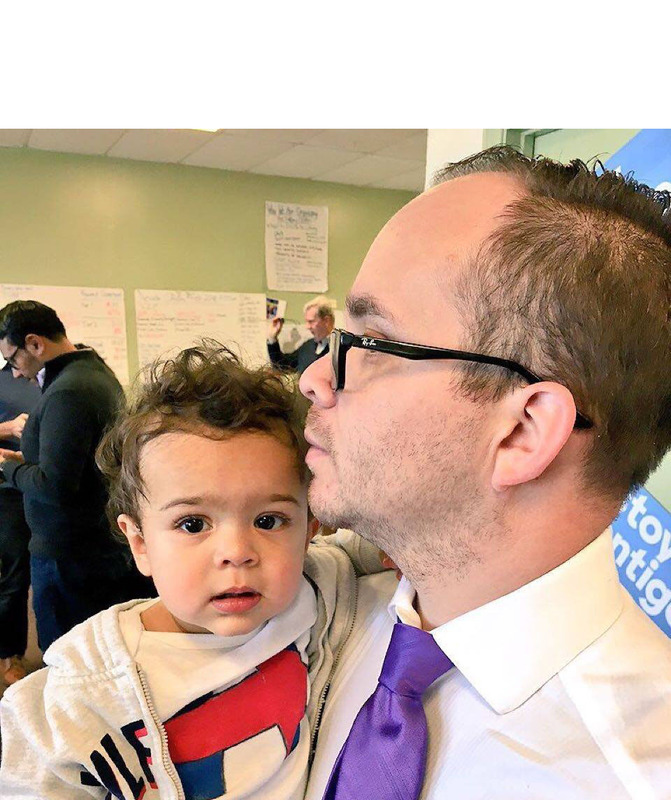 One of the first decisions I made with this responsibility in mind came shortly after my son William was born in 2014 — I joined Chispa Nevada, a community organizing program of the League of Conservation Voters. I knew my work needed to help make our world one where William would have opportunities to thrive. My wife Emily and I felt the best place to do so would be here in the Las Vegas community – in our neighborhoods. With LCV’s Chispa, I work every day alongside Latinos, low income and communities of color to safeguard our rights to clean air and water. Day in and out, it’s a community bond that keeps us motivated. It’s the sharing of stories and our fights to do good for those we love. One story that has stuck with me is that of my friend, Ivon, and her family. Ivon is everything to everyone in her family – she’s also an active volunteer with the program. Listening as she describes what it is like to watch her son Jacob suffer an asthma attack – the terror in his eyes that transfers to her as he struggles to breathe, feeling as if his lungs were being squeezed – is downright scary. She endures nightmare hospital visits where she fears for his life and knows there is little she can do to help him. She’s saddled with the daily anxiety that an attack could come at any moment. Moments like these are preventable for our youth – but we must clean up our air so they don’t suffer the consequences of pollution. Ivon, through dozens of doctors’ visits and years of testing of adjusting their environment, began to realize what was making her son’s asthma attacks more frequent and more severe: the increasingly dirty air Jacob is breathing on his way to school. Asthma is a respiratory illness that is made worse by pollution from power plants and vehicles, pollution which Ivon’s son Jacob inhales on a daily basis. A sad reality is that the health of over 181,000 children here in Nevada is at risk simply because they ride diesel-powered school buses. Nearly 25 million children across the country are exposed to cancer-causing pollutants while riding these diesel school buses. That’s why Chispa Nevada launched the Clean Buses for Healthy Niños campaign earlier this year – fighting diesel pollution is a matter of our kids’ and our communities’ health. This initiative calls on Governor Sandoval to use Nevada’s share of the Volkswagen Environmental Mitigation Trust funds on electric, zero-emission school buses. It’s money our state has been awarded for the very reason of solving air pollution issues like ours in Las Vegas. You’ve probably heard of the Volkswagen scandal, but if you haven’t, the company cheated federal emissions tests and polluted the air we breathe. They did so for years – until they were discovered. Now, they’re paying for their deception and more than half of the settlement is going to states across the country. Nevada stands to receive $24.8 million, and Chispa Nevada has a plan. 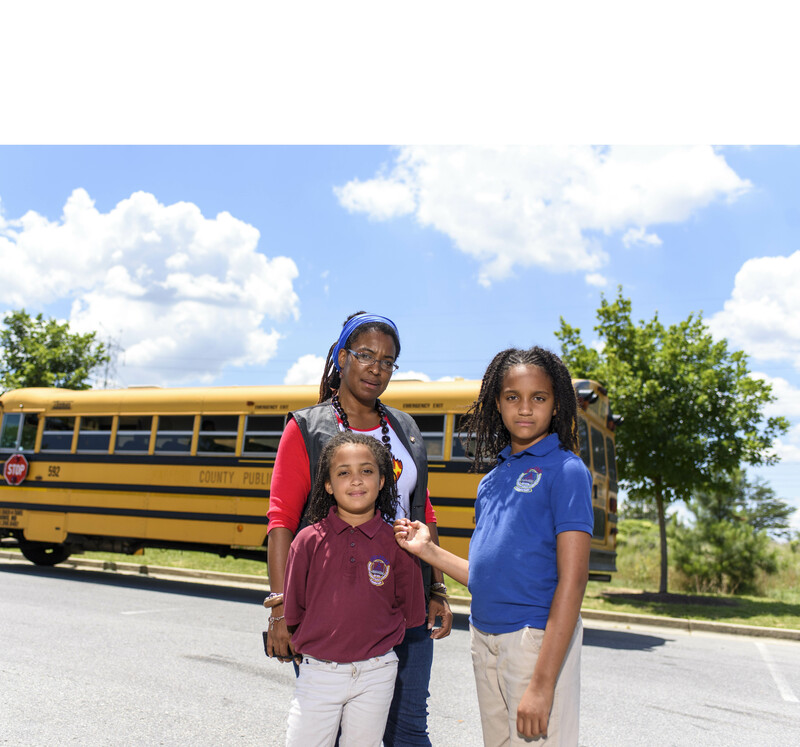 Let’s invest those dollars in electric buses for school districts, especially districts in low-income and communities of color, where students and families are most at risk of breathing dirty air and are disproportionately suffering from air pollution. They have been breathing this filthy air for far too long and need reprieve now. We’re appealing to Governor Sandoval to do what’s best for Nevada’s families and use the funds to purchase clean, zero-emissions buses for our kids, because there’s no substitute for giving our youth back the right to breathe clean air. That’s why Ivon recently traveled to Washington, D.C. to ask members of Congress to work with their governors to fight diesel pollution and make electric buses a reality, not only in Nevada, but across the country. Though she may not be able to cure her son’s asthma today, she can prevent him and other children from long-term exposure to air pollution. Locally too, she’s bringing her son’s fight to breathe directly to our public officials, and behind her are hundreds of Nevada parents who have joined the Clean Buses for Healthy Niños campaign seeking healthy, safe futures for their children. This fight doesn’t belong to any one person or organization – it’s mine, it’s Ivon’s, it’s William’s, it’s Jacob’s, it’s our community’s, it’s all of ours. We need more Nevadans to follow Ivon’s example and call on our top elected officials to switch our polluting school buses for clean, electric ones. We need to write letters to our governor, tweet at him and continue letting Governor Sandoval know it is our state’s will to invest in clean energy and clean up the air our kids breathe every day. Our childrens’ health depends on it. Click here to sign the petition to your governor for clean school buses.